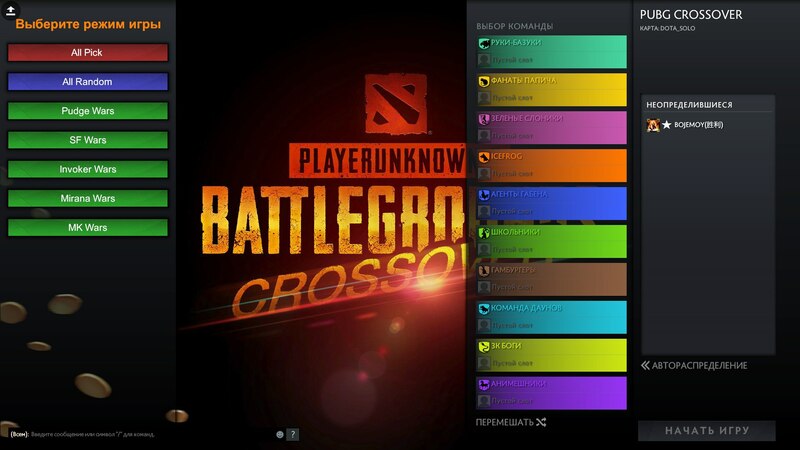 PUBG CROSSOVER is the answer to what would have happened if we combined the best mods of DOTA 2 and some mechanics from PUBG ! Rules of the game: -For the moment, you can choose one of 31 characters. -The choice of the same characters is available! -Each 60 seconds the blue zone tapers to the center. If you go beyond the blue zone, you will lose your health! -On the meeting with the 10th second five minutes at 8 points on the map appears boxes that contain useful things. -In the center is a doctor who can make up health and mana. Number of players: 9 Duration of the match: 12-18 minutes Points to win: 30. Everyone plays for himself. But every night, players team up to protect themselves from zombies! 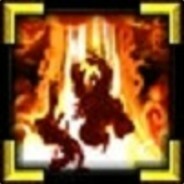 Mode for players who want to play alone or with a friend. In this mode boxes with supplies are cut off and blue field is narrowed. Next wave becomes stronger than the previous one. Waves of zombies are endless!